Aritha Van Herk meditates on our city. How we thrive on upheaval. A city that believes its own exaggerations and deceptions. A city now subject to outside scorn by those who thought we were too big for our britches. How Calgary, in these hard times, is actually becoming more of itself. A city puzzling, but intricately variable and adaptable. Originally published on Jan. 21. 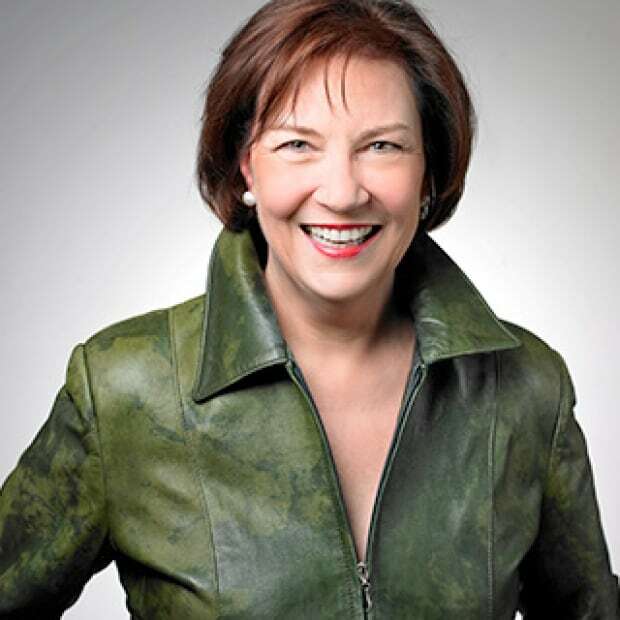 Editor's note: Aritha Van Herk is likely Calgary's best-known author. She wrote what is often considered the definitive text on Alberta's identity: Mavericks: An Incorrigible History of Alberta, published in 2001. That book has inspired a generation of Alberta writers and thinkers, and was the impetus for the Mavericks exhibition at the Glenbow Museum. As part of the Calgary at A Crossroads series, we asked Aritha Van Herk to write about Calgary today. About who we are. What we got back can only be called a meditation. It is typical of this city that it succeeds in disregarding even irrefutable facts, that it is convinced by its own incredible exaggerations and deceptions. Where does this credulity, this crazy hubris come from? We're not the only brash new city in the west, we're not the only town that bloomed out of optimism and opinion. Maybe we suffer from a case of blind faith in the future, or a refusal to look potential failure in the eye, the disease of those who come to a "new" place and expect an open field, the certainty of growth, the promise of invention and growth. Maybe this contagion drifted over the border from the south — America's Manifest Destiny with its "go west" mantra — popularly reported as advice from one Horace Greeley to a young man in New York: "Go West, young man, go West. There is health in the country, and room away from our crowds of idlers and imbeciles." But even if our east had plenty of "idlers and imbeciles," the American push west happened years before the Canadian west became a destination, before Calgary sprouted, before it was a Mountie outpost perched beside the confluence of the Bow and the Elbow. 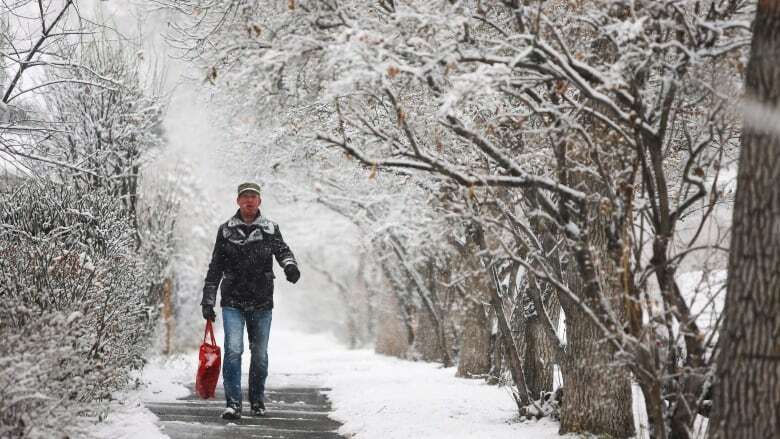 Calgary's attitudes are profoundly shaped by geography, landscape and weather. 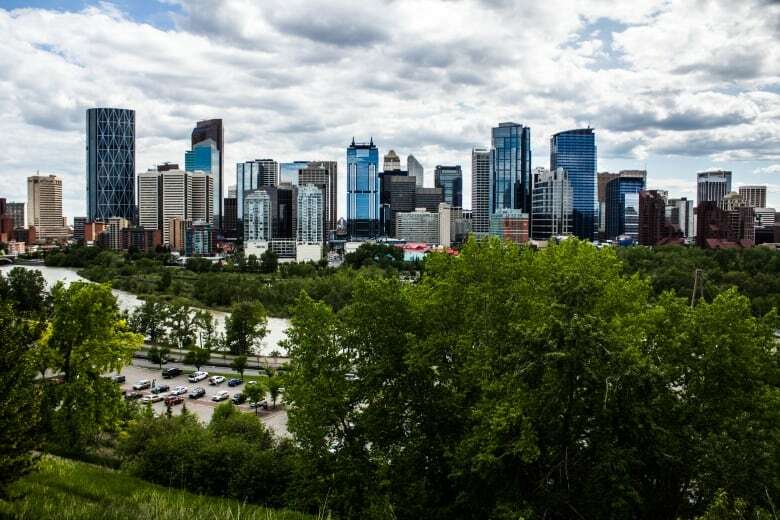 No other city in Canada enjoys as extraordinary a location, on the cusp of the foreland thrust sheets (commonly known as the Foothills), straddling two distinct geological divisions. Our unexpected and unpredictable weather patterns tailgate on physical beauty that literally suspends disbelief; visitors suspect our horizon is a painted backdrop. This beauty — an aesthetic of the vivid and extreme — is pervasive enough that we take it for granted, without realizing that its ambience has come to inhabit our prehension, our sensibilities and our discernment. Deep in Calgary's cartilage, those intangible forces locate a fondness for the crevasse, the gap between one space and the next. We could argue that our intimacy with speculation arises because we enjoy the precipice, the edge. And we tend to forget the peril such risky balance proposes. We trade in creative disbelief. Calgary doesn't believe that the boom will come, and then it doesn't believe that the boom will end, although both boom and bust are inevitable — a cycle that has wheeled through this city at least 10 times. We thrive on upheavals, pipe dreams and celestial imaginings, over-extension and excess, believe the stories that circulate with the chinook wind, the temperature rising and falling, the river's beautiful and reckless rustle underneath the whoosh of tires. 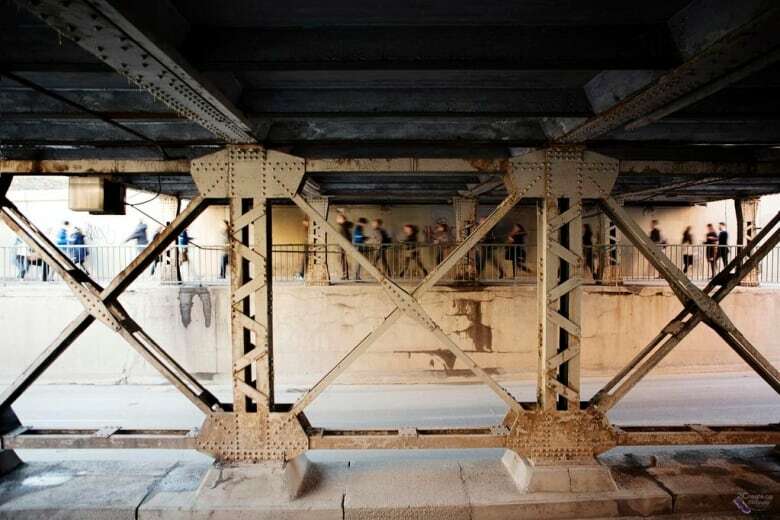 How are we different from other cities where dreams fuel the hum and hustle of action? London resides in its stately imperialism, New York swaggers on size. We're neither, not nearly as staged or as venerable. Our fantasies are local, delicate in their unfolding. We think of neighbourhoods and dynasties smaller than cultural megaliths or empires. But we do dream, this is a daydream city, faith in the impossible our biggest hazard and our biggest asset. And so we stand on the edge of the precipice as if it were not a sheer drop, as if this city could fly over the chasm below and land on its skyscraper feet. Maybe that blindness sets us up for the inevitable fall, the hangover of dismay, collapse and ruin. For the fall does come, the sudden plummet to gritty and deserted streets, to office tower floors ghostly with their own abandonment, to the dazed and wandering disbelief of those who believed the boom would last forever, who are bewildered by their own BMW payments, condo fees and Visa bills. And at that point, a different language blossoms. Diversity, sustainability, renaissance and rejuvenation replace growth, expansion and development. The shift is linguistic and psychological; the whole city performs a root canal on itself and tries to figure out where the rot started. Failure accompanies risk-taking. But is failure so negative? Every artist understands that without failure, there can be no art. Failure signals a striving beyond the expected, recognition that success is not easy or free. Failure prompts the need to try again, to cross new borders. Samuel Beckett said it best: "Ever tried. Ever failed. No matter. Try again. Fail again. Fail better." Failure can be an elixir, an incentive and not the checkmate that stops the game. Once we measure that analeptic and strategic re-set, then we can figure out as well where failure connects to our courage. Some claim that Calgarians resist taking responsibility, that we blame governments and global markets and the derriere of luck, that it's everybody's fault but our own. That's the banal conclusion, that we've played Icarus, flown too close to the sun and now, having fallen into the sea, drown in boohoos. "Never," the condemnatory are quick to say, "has a place had so much and done so little with it. We should have, could have, ought to have...."
And so we become endlessly culpable, the cause of our own downfall and contemptible to boot, shortsighted and injudicious and just plain reckless. The blame game is an easy one. Judgmental castigation is as facile as the habit of a gambling dreamer. We rose, we fell. We were guilty of gluttony. We relied too much on natural resources. And to outsiders, our roller-coaster plummets seem somehow justified. We got what we deserve, seems to be the consensus, the schadenfreude of those who always thought we were too big for our boots. From without, Calgary seems like an erector set city, quick to be put up, quicker to be torn down, deleted. Its changes and upheavals have become so much a part of its character that it might have adopted upheaval as a custom. 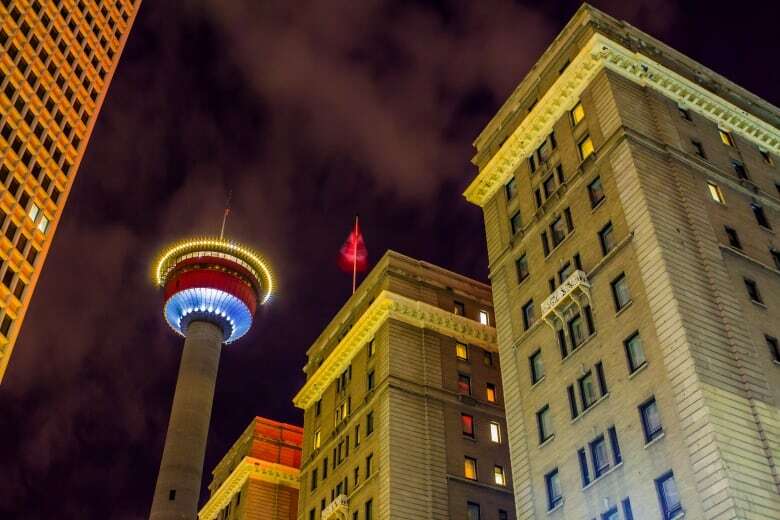 For a while, Calgary was the object of the rest of Canada's scrutiny, envy and disdain; now, Calgary is simply the object of the rest of Canada's dismissal and disdain. But if we succumb to that curl of scorn, the derision of bystanders, we risk a different failure. We risk forfeiting our very complexity for the reductive moral lesson of our reach having exceeded our grasp. And that is why I believe in my city as the puzzling but intricately variable and adaptable place that I know it is, under the surface of glib prosperity and disingenuous exploitation. This "essence" is not how Calgary is seen or summarized, but it lurks in the early morning air as the city rolls up its sleeves, gives its head a shake and starts to rethink its own pride and prejudice. We've been here before but this time is different, as this wake-up is different every time, just as our complex unfolding of the past and the present together has shaped the character of this city, this city that others brush off as characterless in a narrative of economy over empathy. So where are we? Disheartened and a little browbeaten? Yes, but now is when Calgary actually lives up to its potential narrative. Freed from the tyranny of being rich and glossy, new restaurants opening every other day, old houses torn down to make room for monster houses, now is when Calgary comes into its own. The question is not how we wish to be seen (a game that we've played as consummate actors, the 10 days in cowboy drag, the 10 years as affluent impersonators), but what we see in the mirror, the way we must look ourselves straight in the eye and begin again, not with the accommodation of mythology, but with the knowledge that there are boots and bootstraps, and there is work to be done. We don't expect rescue, but we do expect respect. We know we're not mavericks. That's a moniker, a stage name, a disguise. We are proud and stubborn but not stiff-necked. We're ready to investigate and we're ready to co-operate and innovate. So maybe we are mavericks. When the buffalo hunters have left, when the real estate agents become affable again, when the streets are navigable and the C-Train has seats, then the city becomes its old self, a bit down at heel, aspirational rather than grandstanding, polite rather than brusque, head up and nose sniffing the wind, instead of staring at the sidewalk on the way to a meeting with a dollar sign. This is when the restaurants have tables for walk-ins, haircuts are reasonable, and the roads aren't jammed with single car commuters. This is when the artists come out to play, when there is space for them to be inventive, when the extras in the film industry enjoy some time, when ordinary people stretch their imaginations to invent a profession instead of a job. This is when rents are reasonable, when we band together, step up to help others (the CBC's food bank drive thought it would barely make a million and it made $1.7 million on donations), and take a good long look at the future. And this is when we do awaken, because we must now decide how to live and work without the hyper-inflated craziness of conspicuous consumption. The people who came to make a fast buck are gone. The acquisitive and mercenary have left. They weren't here for the long haul, the bumpy ride. They worked for pay, and not for pleasure. The people who stay have committed themselves to living here, perhaps despite themselves, and will work to make this city theirs, to find the good bones underneath the surface, embrace the shimmer at its heart. 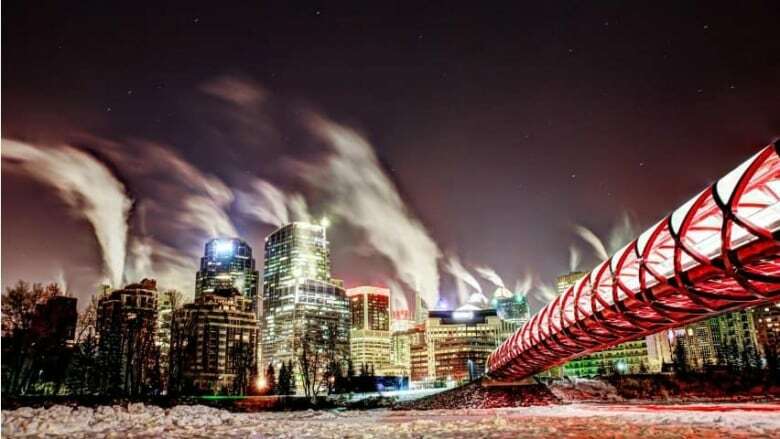 A Calgarian is someone surprised to hear herself say the words "I'm a Calgarian," but knowing that she means it, that she will stay through the next boom, and through the next bust (because there will always be another). For overarching the seesaw is a greater momentum called persistence. Are these tough times good for Calgary? Not as a lesson, or a punishment, but as a remedial moment that opens up another trail, that gives us the impetus to improvise and evaluate what we aspire to and where we want to go. There's the argument that plenty makes you stupid, oblivious, and that our recent fortunes have hurt our collective identity, what's left is a shell, a lot of debt and not too much that's distinctive. There's the argument that bad times don't promote imagination. Everybody's got an opinion. But this city has a unique story, and that story's secret trajectory is what will make us stay or what will make us go, what will make us proud or what will make us reappraise. That's the story we have to celebrate, not the diagnosis and the autopsy, the story that's told about us. 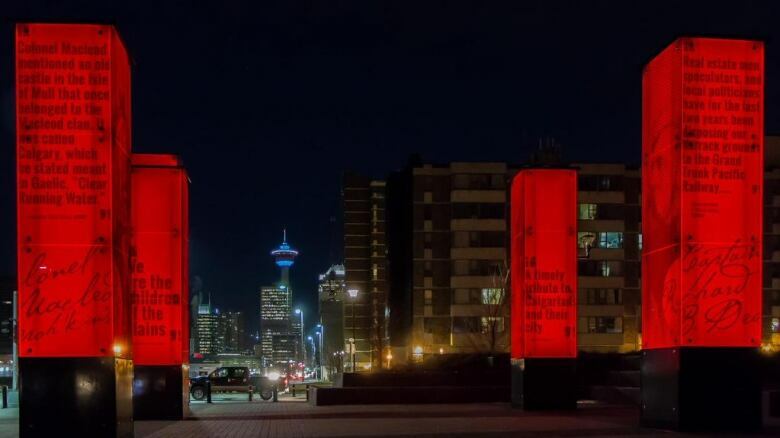 It's not that we're bad at explaining our story, although we do need to understand the character and history of Calgary better than we do. It's that our narrative is complicated, layered by time and timbre, by our long geology, our indigenous ancestry, our recent conjectures, and most of all by our wild surmise. Our sense of who we are is intricately connected with the place where we live. And in this bust, our loyalties and our creativity are being asked to fail better, to re-evaluate what we want not just for ourselves but for this place, the place where we live and breathe and go to school and work and where we dream the future. And so the question we must ask is how, in this downturn, do we make this place our own, and treat it with the gentle regard, the tender tenacity it deserves? Aritha van Herk is a born and raised Albertan who teaches in the department of English at the University of Calgary. Author of numerous novels, journal articles and several works of criticism, she has lectured widely throughout Canada and Europe. She is a member of the Alberta Order of Excellence.